Burberry's beloved Thomas Bear the signature teddy, in a soft check cashmere featuring the Bobby, inspired by British cultural icons. 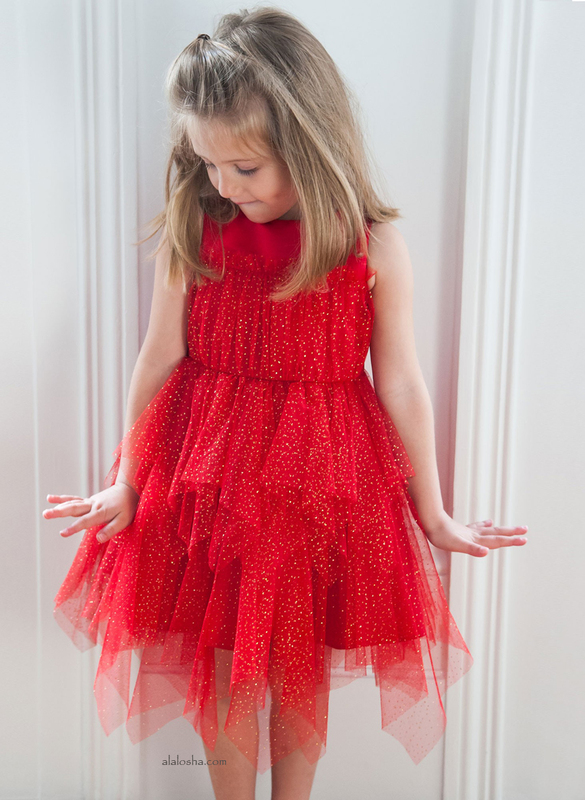 The design features moveable arms and legs and is trimmed in soft suede. The latest incarnation of Burberry's beloved Thomas bear features colourful leather appliqués that resemble an owl's feathers. He's crafted from black and red House-check cashmere and complete with fully movable arms and legs. 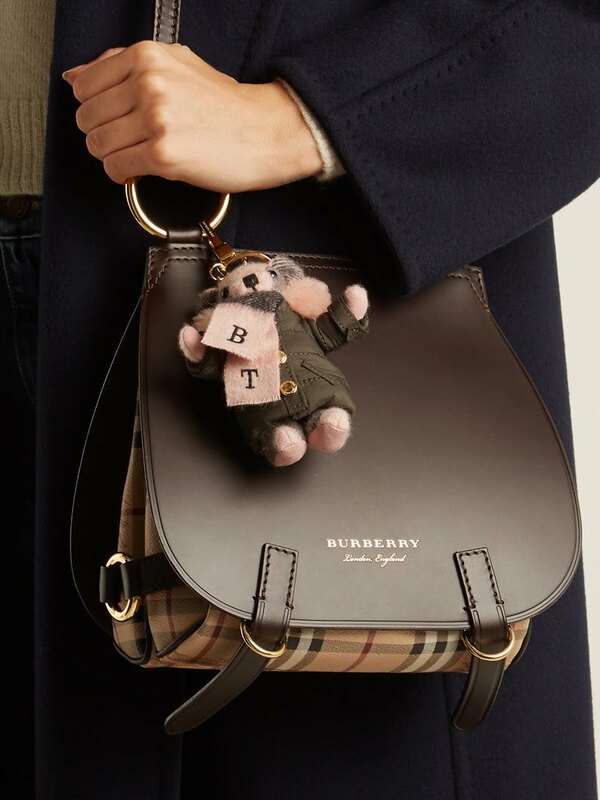 Attach him to your favourite Burberry bag to brighten your day. 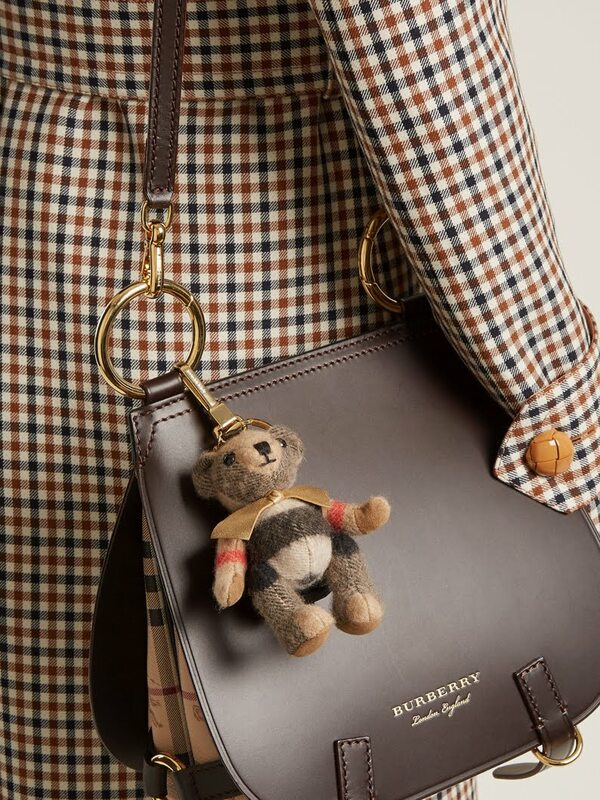 Burberry's characterful Thomas bear key ring will bring a British touch to your essentials edit. 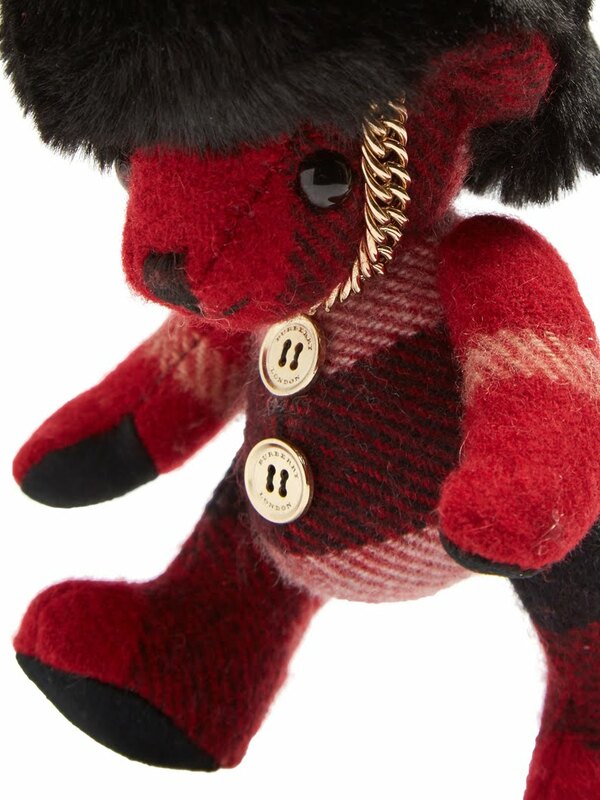 Made from cashmere and shearling, the teddy bear-shaped charm features movable legs and arms, black rivet eyes, an embroidered nose, and pink suede hands and feet. A logo-engraved gold-tone metal slip, key ring, and tag finish the piece. Burberry's famed Thomas key ring is reimagined in red cashmere as a Buckingham Palace Bubsy guard. 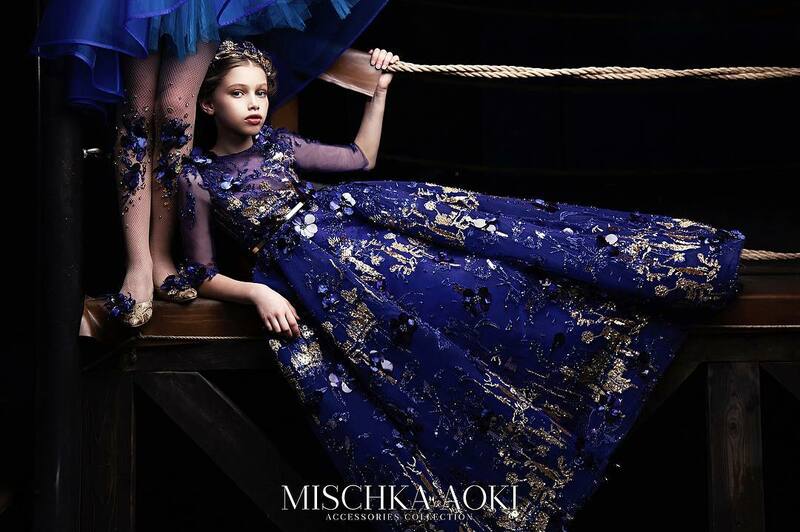 It's crafted with the label's signature House-check across the teddy-bear charm, and tipped with a black faux-fur hat and coordinating gold-tone hardware. Two mini logo-engraved buttons complete the look. Watch it enliven your everyday tote or backpack.